Open the link below to find more job opportunities in MTA. No written test. Practical test only. Best wishes. Thanks to Nevin Mathew for sharing. (If you have job opportunities at your work, please let us know). 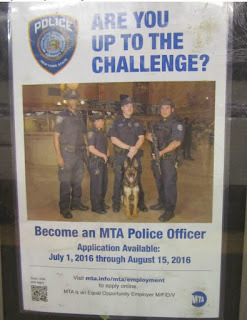 If you have a new graduate or other relative who is job hunting, the NYC MTA Police Department is hiring. 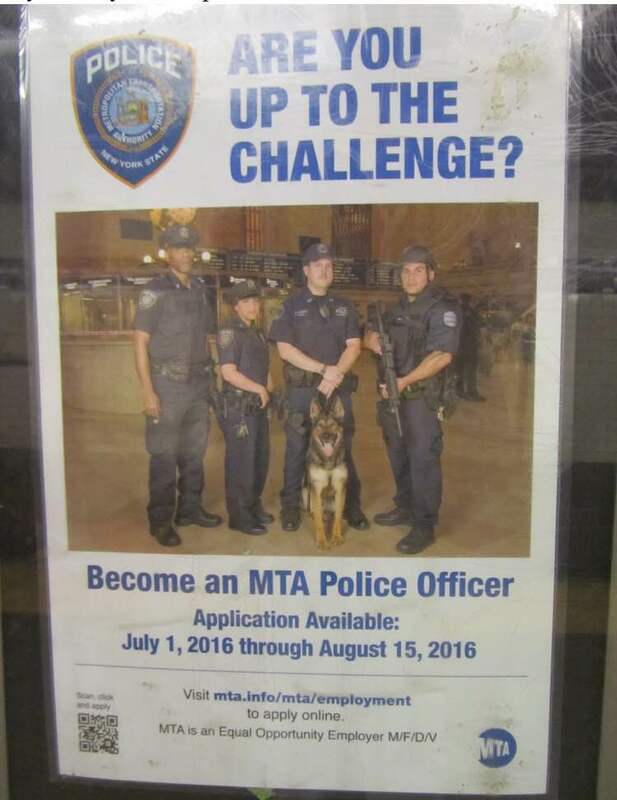 The application is available online. Please see the attached poster. Event: Alter Severs Appreciation and Training. There will be a sharing by Seminarian Savio Paul about his life journey. Current servers and those who wish to join to serve are welcome . Our parishioner Rosmi Mathew's (w/o Saji Mathew) grand mother Rosamma David (90 y/o), Maliamveettil passed away in Kerala. Funeral will be held on July 14, at St. James Church Poonithura, Eranakulam. As a community we express our condolences to the sorrowing family and pray for the departed soul. All are welcome for our parish picnic on Saturday July 16th 2016. Please note the mass time is changed to 8.30 am on Saturday July 16th. Our parish retreat scheduled in September 2nd, 3rd, and 4th will be cancelled due to some unexpected reasons. We are planning to arrange another retreat later months of this year. Sorry for your inconvenience. This message is on behalf of the Haiti Mission Trip from our Syro Malabar parish. In this Year of Mercy, something beautiful is happening! As you all know, we have a group of adults and children from our church going to an orphanage in Haiti July 9th - July 14th. They will be working with physically and mentally disabled children with the ages of 5-15 years. Today, July 3, we will leave a donation box in church to drop the clothes. You may also drop cloths tomorrow July 4, 9am to 11am, Friday evening and Sat morning around Mass times. And at the parish office from July 6th in the morning hours. Or some one from the Haiti group will come to pick it up. Please contact me, Fr Thadeus at 845-490-9307, Dr. Reena Jacob 845-661-0085, Aney Chacko 845-709-9349, Florence Thomas- 845-323-0709 if you have clothes you would like to donate and would like it picked up from your house. Please keep all 18 missionaries and the poor they are going to serve in your prayers. Wish you a very happy feast of our father in faith St. Thomas and a Happy Independence Day! For those who are looking for a job, WestChester Post Office is now hiring mail handlers and clerks.